For members of ATD-LA, ATD-SD, ATD-IE ISPI-OC and ISPI-LA. ATD Global members are NOT eligible for the affiliate rate. Who is Total Trainer for? What can Total Trainer do for me? Enroll for both Total Trainer (Creating Training and Delivering Training) courses at once, and receive an additional $100 discount, as well as early-bird discounts off both programs. 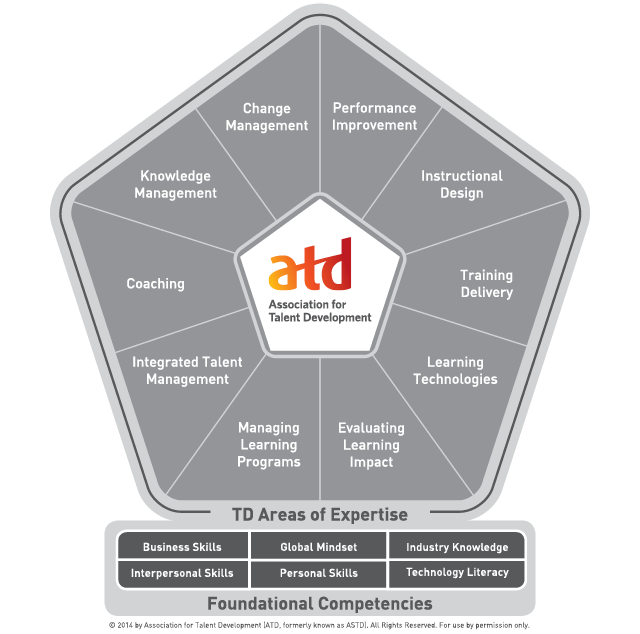 Total Trainer's toolbox is the ADDIE Model ‐‐ a methodology of design that incorporates the Analysis, Design, Development, Implementation, and Evaluation of a training intervention. Learn more about the ADDIE Model at here. Cancellation/Refund deadline is May 21.